It is really hard to choose a destination where you really want to travel with any supporting documents regarding the length of your stay, and the reason for it if its tour or work or even study. It is necessary to have a visa for certain countries and would take 2 weeks or 2 months just to get the process done depending on the country you will be staying at. According to the report about the passport index that was released by the International Financial Firm Arton Capital, the Philippines have ta visa-free score of 61. This means that if you own a Philippine Passport, you could enter 61 countries that don't require any visa papers. Compared to other countries, the Philippine passport is listed as 65th place in the passport index which is classified as "moderately low." The Philippine passport is ranked 65th which is classified as “moderately low” when compared to other countries. Although some countries do not demand any visa prior to departure yet, they will need one upon arrival at the immigration border. It is essential for the security of the country to identify all the people that go into their borderland. But some countries change their visa policy without prior notice. To check for their travel policies, you could easily verify it from their respective embassies before going to their country. The validity of the passport must hold at least 6 months to gain entry in the country while traveling abroad. 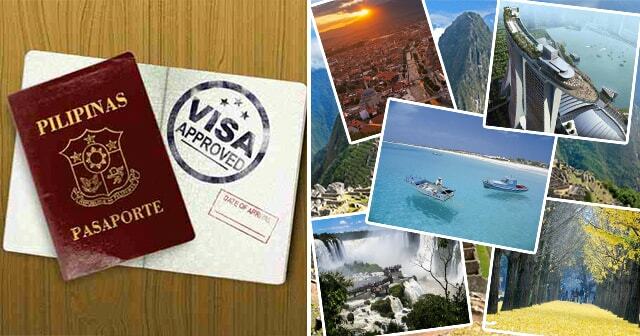 Check out these lists of 61 countries where you could visit regarding the validity of your visa.